After umming and ahhing over what waterproof coat to buy for the past few weeks I finally made my decision. I went for the Barbour Beadham Waxed Jacket. I looked at cheaper waxed jackets and more sporty waterproof coats but I kept on coming back to the Beadham. I was so excited when it arrived and put it on straight away. Its is nice and light with enough room to put some layers underneath in winter. I don't think I'm a typical Barbour customer but I love the quality and fit of the item and can't wait to wear it. I love the fact that the coat was handmade in the UK and Barbour 'remains true to its core values as a family business which espouses the unique values of the British Countryside and brings the qualities of wit, grit and glamour to its beautifully functional clothing.' I think this jacket will be with me for a very long time, such a classic item. thanks :) asos their own waxed jacket for about £60 and have some quilted Barbour ones on sale. its come in handy loads this week already! All the posh kids at my university had those coats - kinda put me off because I'm not "rah" [as we called the private school students] enough to pull one off lol. 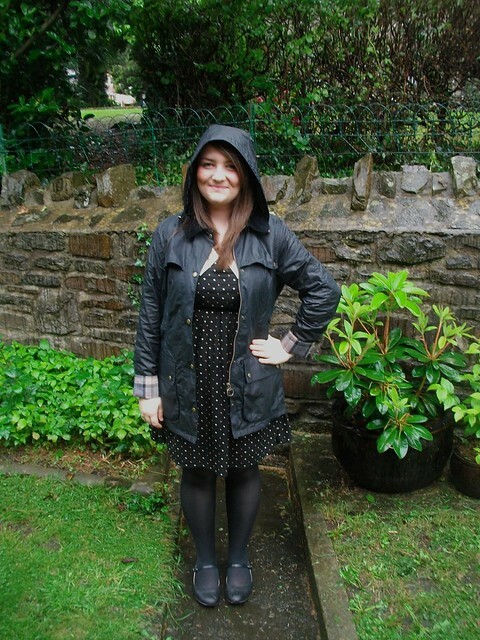 Dying to own a Barbour coat ! 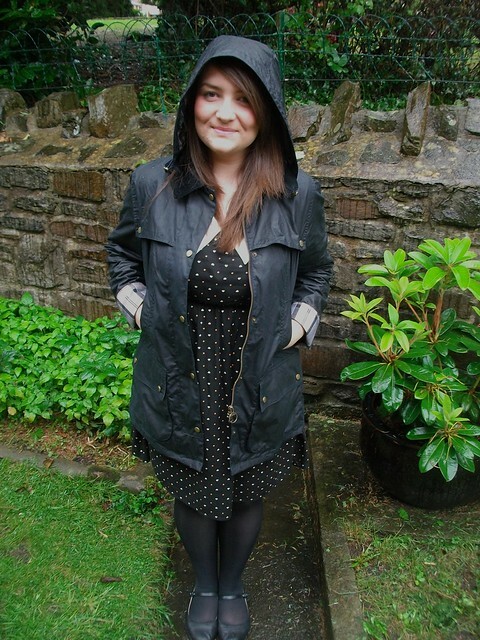 I love this Barbour jacket, I want one with a Liberty print lining! It was so lovely to see you this weekend! Love that coat! It's perfect for this grey rainy weather that we're experiencing right now. I would never really have thought of looking at Barbour jackets before but this one is so nice, you've made me want one too! I love the turn up cuffs. Hi! I have a question about your jacket – what size do you wear? I'm buying one as well but I'm not really sure about the sizes – are they normal?